Enjoy our delicious dishes, specially designed for you! 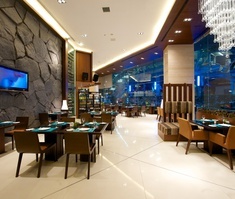 The Jasmine Resort Hotel is a business hotel in Bangkok ideal for business and leisure travels. 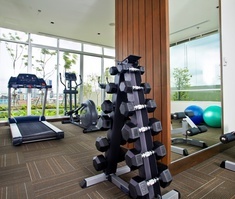 This hotel in Sukhumvit Road features a fabulous central location near the BTS Phrakhanong Station, the Getaway Ekamai and the Emquartier.Book a room in the Jasmine Resort Hotel and enjoy a hotel with spa, restaurant, bar, gym, indoor parking, Jacuzzi, outdoor and indoor swimming pool and free Wi-Fi. 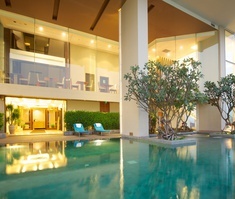 Stay in a room with an elegant Thai design with sophisticated lines and with all the necessary commodities for a perfect stay making a reservation on the official website of the Jasmine Resort Hotel.